There was no sign of Xhaka in Arsenal’s official training photos from Saturday’s session and the Swiss international wasn’t spotted arriving in Manchester with the rest of the squad last night. Unai Emery failed to mention Xhaka during his team news update at his pre-match press conference but it seems the midfielder has picked up a late knock and is set to miss today’s huge clash with Man City. Mkhitaryan returned to full training last week after recovering from a fractured foot and Arsenal confirmed on Friday that the playmaker would be given a late fitness test to see if he was able to return to the squad this weekend. However, it looks like the Armenian international has failed to prove his fitness as Mkhitaryan was also not seen getting off the Arsenal team bus as it arrived at their hotel on Saturday evening. Maitland-Niles was also given a late fitness test after missing the Cardiff City game with a knee injury and the Manchester Evening News claims the versatile midfielder was also not among the players that travelled to Manchester. It will be a huge triple blow for Arsenal to be without Xhaka, Mkhitaryan and Maitland-Niles for this crucial game against Man City today as Emery is already without Rob Holding, Hector Bellerin, Sokratis and Danny Welbeck due to long-term injuries. However, the Gunners did boost their ranks with the loan signing of Denis Suarez from Barcelona on deadline day and the attacker could make his debut after travelling to Manchester with the squad last night. 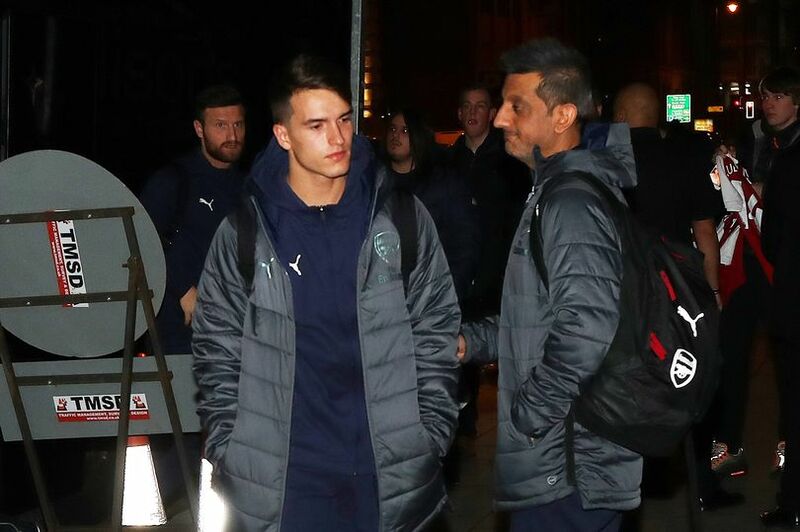 The Manchester Evening News also claims that Laurent Koscielny is in the squad after recovering from a jaw injury while young defender Konstantinos Mavropanos also made the trip north so he could make his first Premier League appearance of the season. 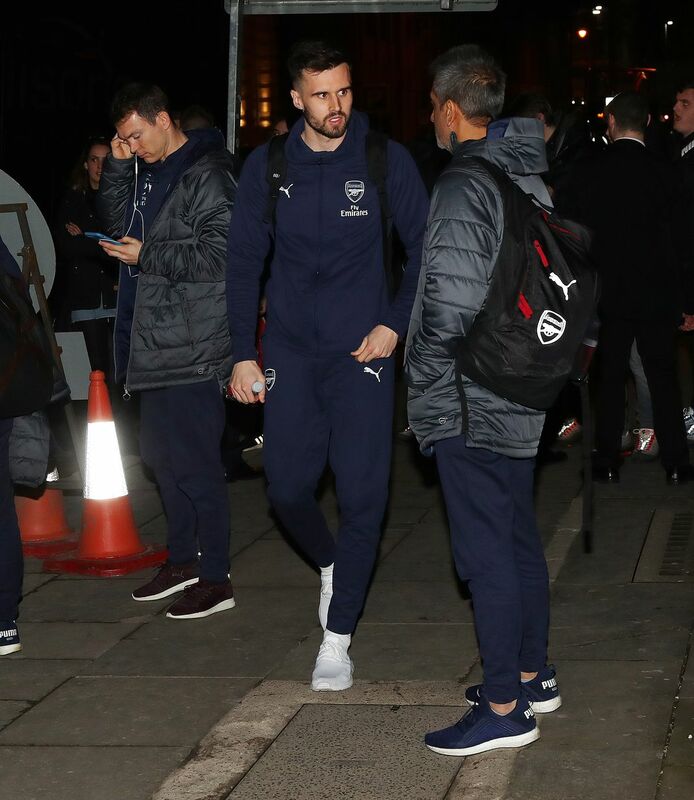 With Bellerin and Maitland-Niles missing, Emery has problems at right-back so Carl Jenkinson has been drafted in to the squad and the out-of-favour full-back could be in contention to start this afternoon.